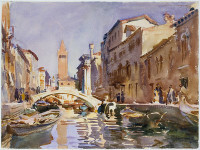 John Singer Sargent was born in Florence, Italy on January 12, 1856. 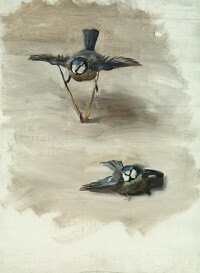 His parents, Dr. Fitzwiliam Sargent and Mary Newbold Singer were American, but had expatriated to Europe in 1854. 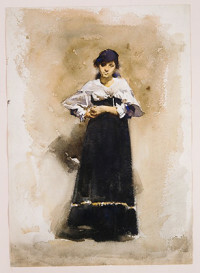 Sargent was raised emerged in European culture and spoke French, Italian, German, and English. 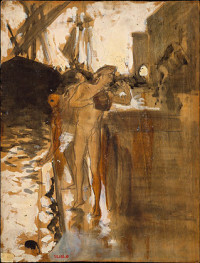 He briefly attended the Academia delle Belle Arti in Florence but at the age of 18, left for Paris in May 1874. 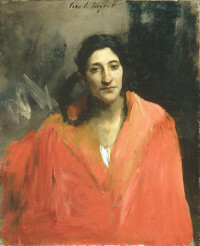 He entered the atelier of portrait painter Carolus-Duran and enrolled in classes at the Ecole des Beaux-Arts. 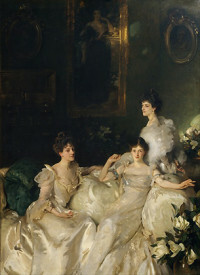 He exhibited portraits and subject pictures at the Salon in 1877 and received positive reviews. 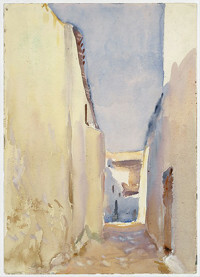 His early subject pictures were inspired by his travels to Brittany, Capri, Spain, North Africa, and Venice. 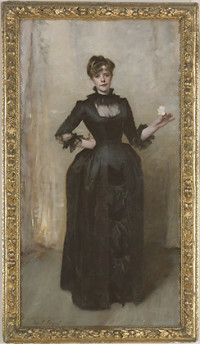 Sargent exhibited his Portrait of Madame X at the Salon of 1884, and it was the scandal of the season, which influenced his decision to leave Paris for London in 1886. 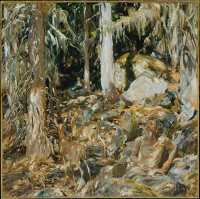 In England, his work was regarded as avant-garde, and he began paining more landscapes due to a decline in portrait commissions. 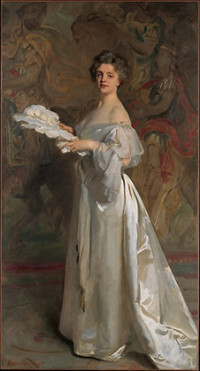 In September 1887, Sargent traveled to New York, and he soon began receiving portrait commissions from wealthy Americans and Brits, becoming an in demand painter for high-society in the 1890s. 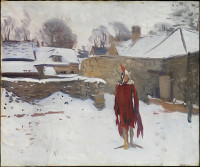 At the turn of the century, he returned to his interest in landscape painting, unsuccessfully trying to give up formal portraiture. 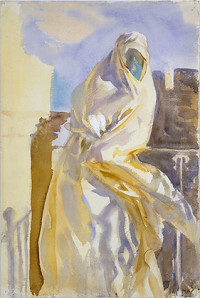 Sargent passed away in London in 1925.